Finding the perfect gift for travel can be difficult, but we've done the hard work for you. We've got you covered with ideas from practical and affordable to indulgent and splurge-worthy. We have also organized them into different sections to make browsing easier. Remember the days when you put a pin on a world map to mark where you've been? Well, now there's something even better. 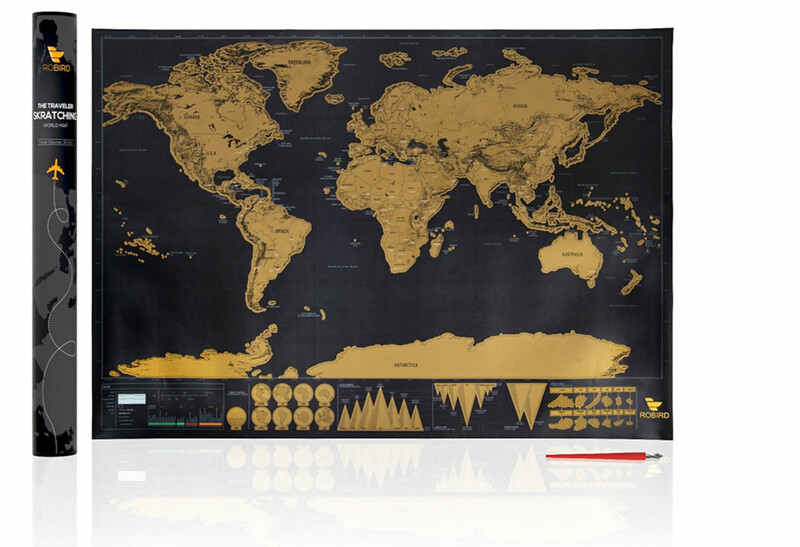 The Scratch Map has a gold foil layer that you can scratch off as you go. Create your own wall art by showing off your travels. If you want to show off your travels in 3D this globe is the coolest idea. 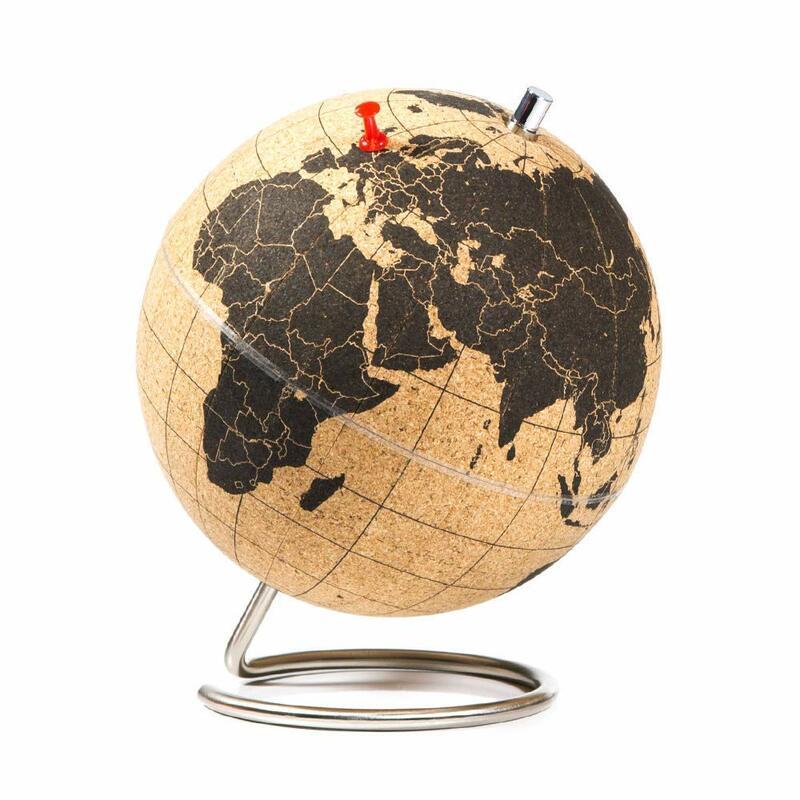 Your travel friends can pin all the places they've been onto this handy globe. The globe comes with 30 magnetic pins but you can buy more from MapMagnet on Amazon. If you have a travel lover in your life, you can be sure they'll love this gift to show off where they've been. Whenever I'm home, I love to be reminded of my travels abroad. 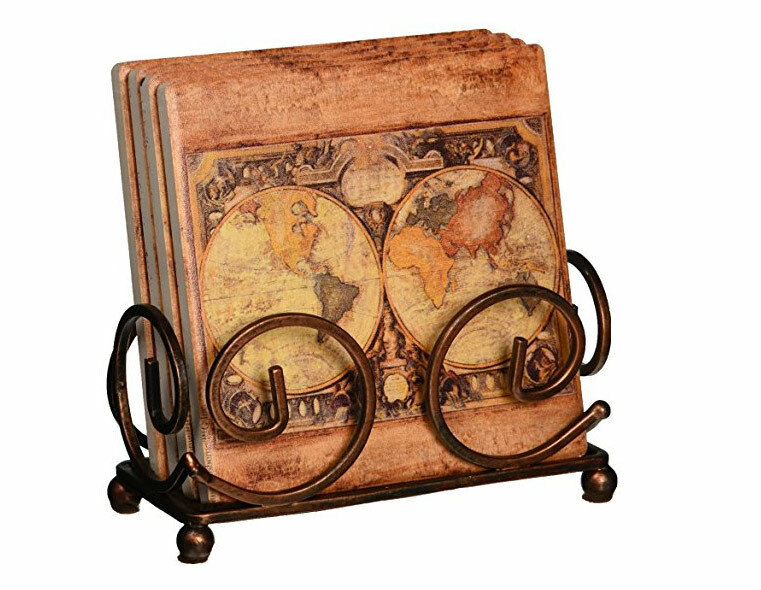 This coaster set is elegant and shows your friends and family just how much you love exploring the world. Pick it up on Amazon Prime or buy the set. Snuggle up to the world as you hang out at home on the couch. 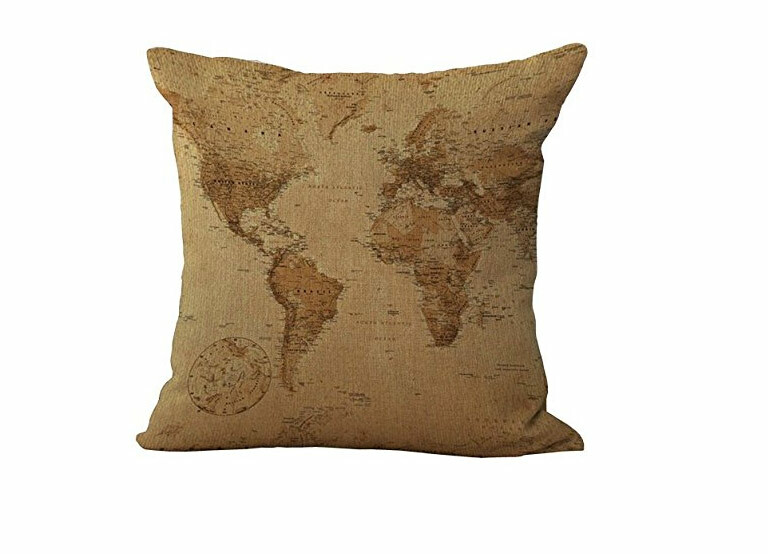 I love throw pillows and nothing says world travelers more than a pillow covered in a map of the world. 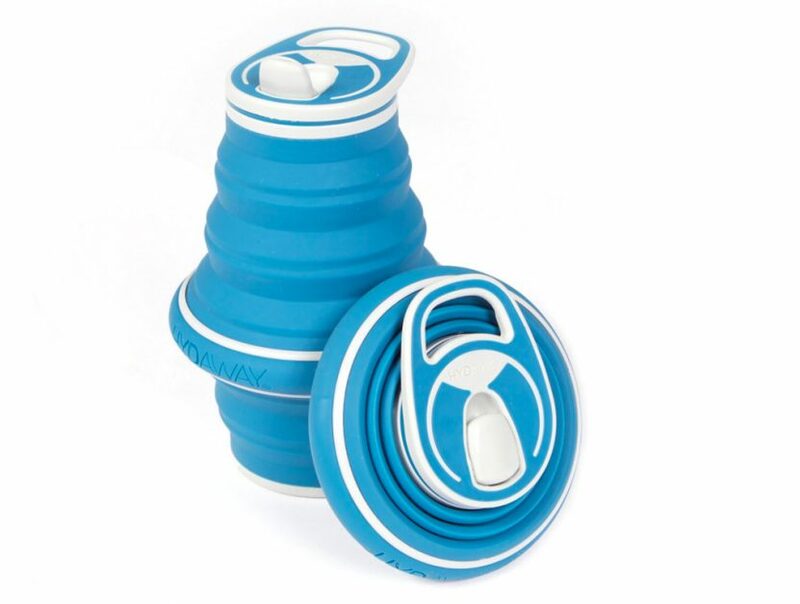 If you are going into the backcountry without access to clean water, this is the gadget for you! 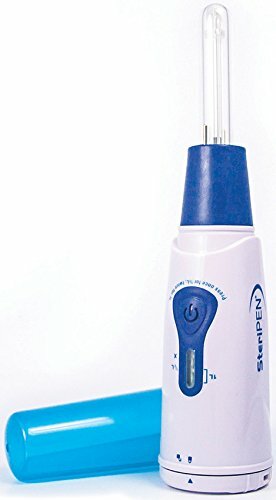 The Steripen sterilizes any water using its UV light. So get water from a stream, lake or pond - you can clean it! Even if you aren't an adventure traveler, the Steripen is perfect to add to any travel bag. Get water from the tap anywhere, the tap in your bathroom, a water fountain, drink the water in developing countries. Don't worry, the Steripen will make it safe. It purifies water in 90 seconds for a 1-liter bottle. 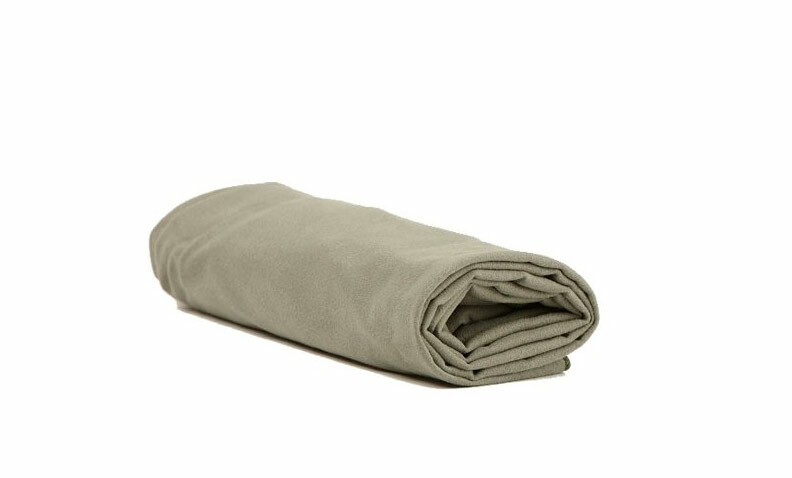 Even if you are staying in a 5-star resort, you often have to bring a towel with you when going on an adventure excursion. Instead of packing the clunky hotel towel, use this microfibre travel towel. It's good for long multi-day treks or just a day at the beach. Quick dry and odor resistant make it a plus to have in your baggage. 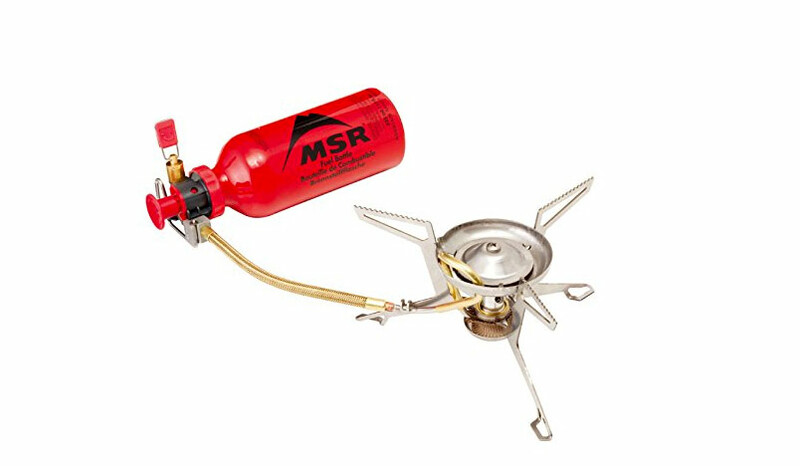 If you are going on an overland road trip or doing some independent trekking, the MSR WhisperLite Camp Stove works the best in our opinion. It runs on multiple fuels so you don't have to worry about finding white gas in remote locations. We've have used it in remote locations and even had it run on gas from the petrol station when we couldn't get pure white gas and it worked like a charm. Just be sure to clean it well after each use. 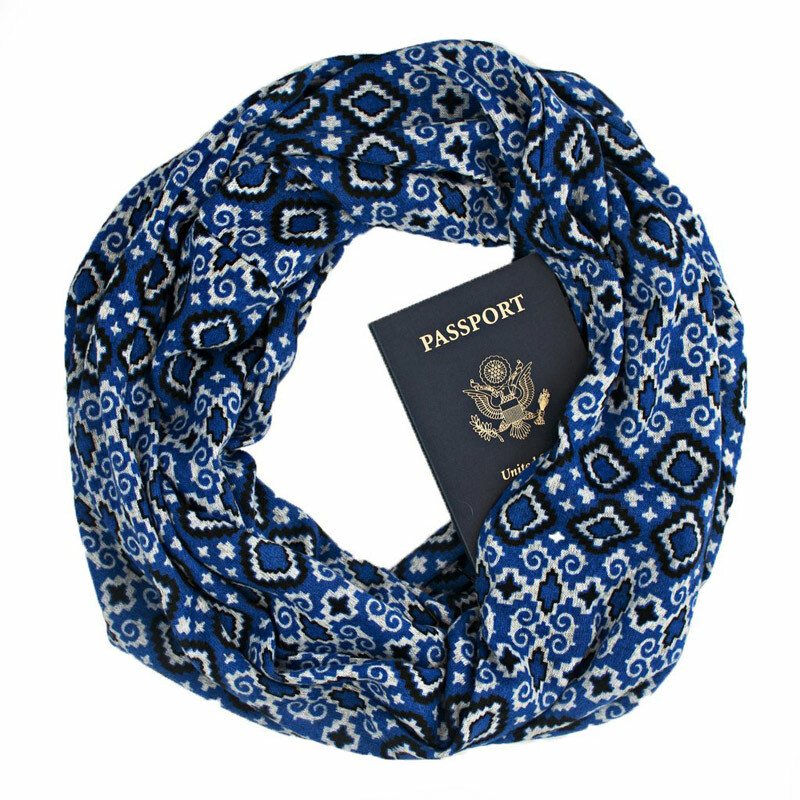 It's lightweight, making it the perfect gift for travelers who like to go off the beaten path. 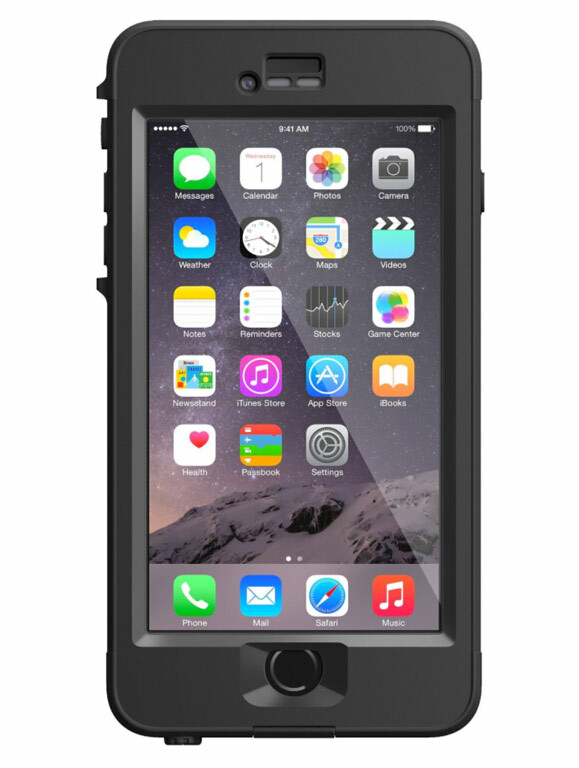 This rugged case is perfect for the active traveler. If your guy is adventurous, the Lifeproof case is waterproof, freeze resistant and shockproof. It can handle anything. We've used it snorkeling, whitewater rafting and just outside in the rain. You don't have to worry about your phone anymore. 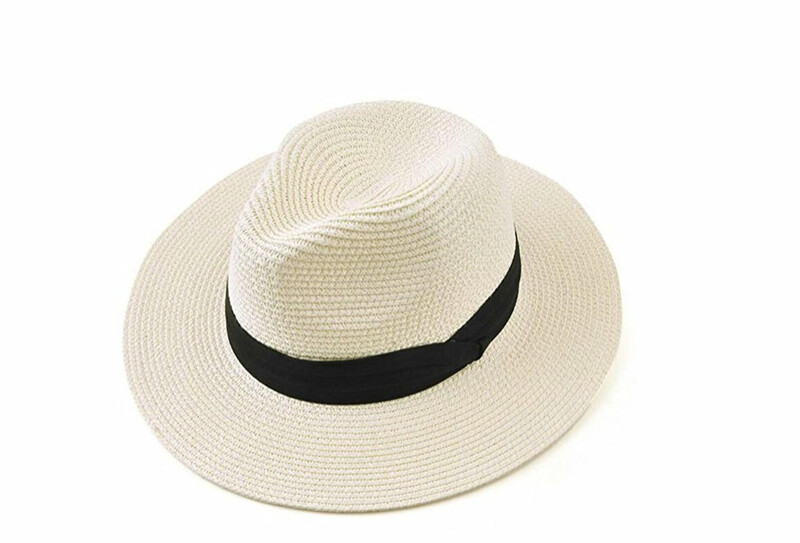 The Tilly Hat is the quintessential travel hat. 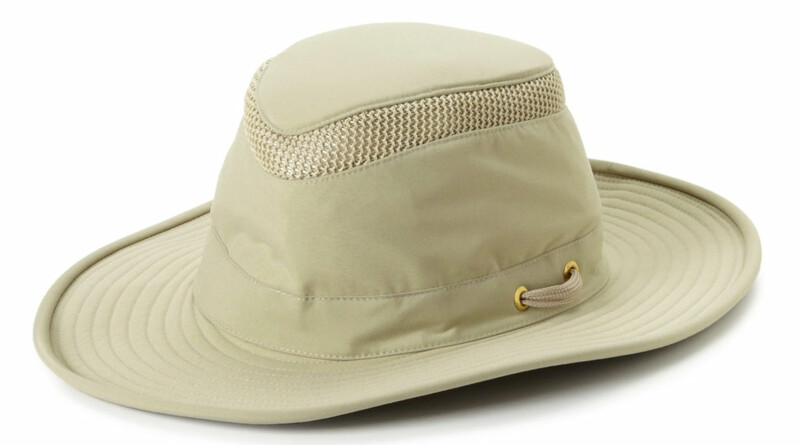 The wide brim protects your neck and face, and there's plenty of ventilation to keep your head cool. It's easy to clean too. A headlamp is truly something everyone should carry when traveling. You'll find that you are open to new opportunities and even if you aren't adventurous, you may go on a trek, need it on a train or bus or power may go out. Headlamps are more powerful than your phone light and it keeps your hands free. 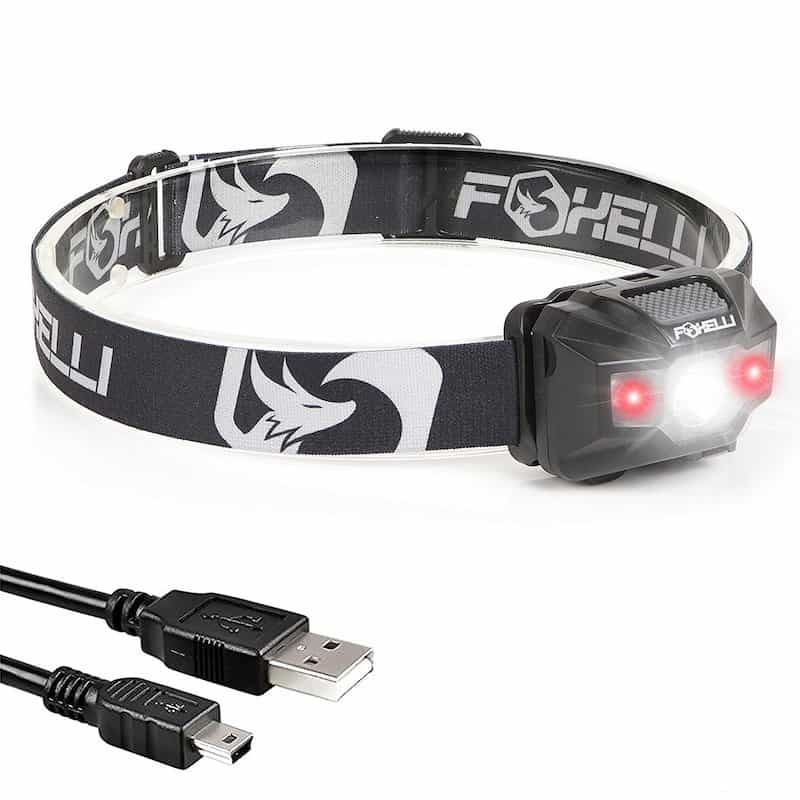 We've upgraded recently to the USB chargeable headlamp so you will never run out of batteries. 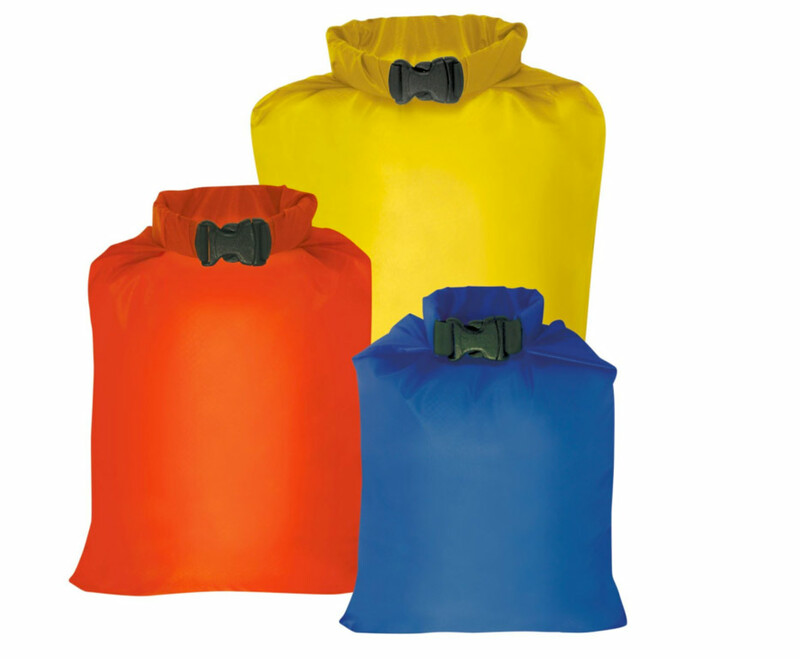 You never know when you might need a dry bag. You could be in a destination that gets hit by a monsoon or just a bad bout of rain. You may find you're going on a water adventure or you might end up in a water festival in Thailand or Holi in India. Having a lightweight drybag is always good to have on hand for those moments you want to protect your electronics and valuables. 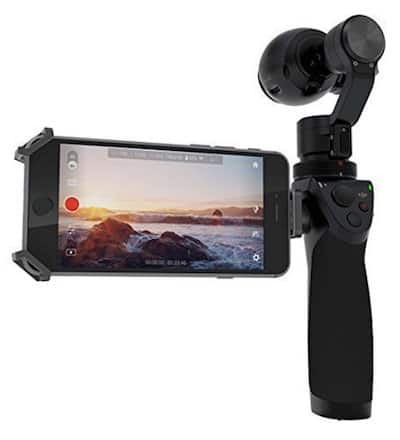 If you want an affordable steadycam the DJI OSMO MOBILE 2 is the way to go. But a better idea is to get the newly updated Mobile Version that uses your phone camera and bypasses the OSMO camera. 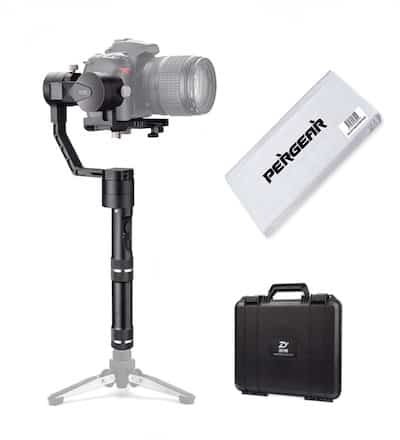 At only $149 for a bundle with a carrying case, base, and mini tripod this is a no-brainer. Ever wonder how travel vloggers capture those smooth moving shots that look like something out of a movie? They are probably using a gimbal or the above mentioned OSMO. 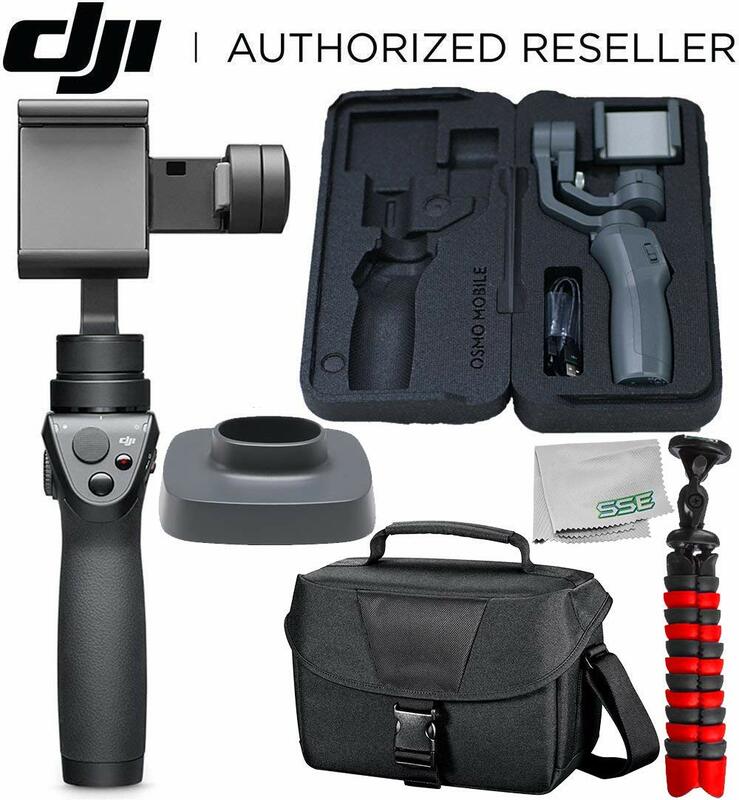 We've upgraded from the DJI Osmo to this gimbal where we can attach our Sony RX100 V or even our Sony A7S2 and A7R2. It makes for movie style travel videos and it's lightweight enough that I (Deb) can carry it around all day at festivals or events without getting tired. See our latest video from Bhutan where we shot nearly the entire festival with the Rx100 V on a gimbal. Go Pro is still our favorite adventure camera out there. We use the GoPro for everything from snowboarding to scuba diving. It's perfect for anything you need to shoot hands free by using GoPro accessories like the car mounts, helmet mounts or wrist mounts. We've taken our GoPro on every water adventure you can think of from scuba and snorkeling to jet boats, kayaks, and whitewater rafting. 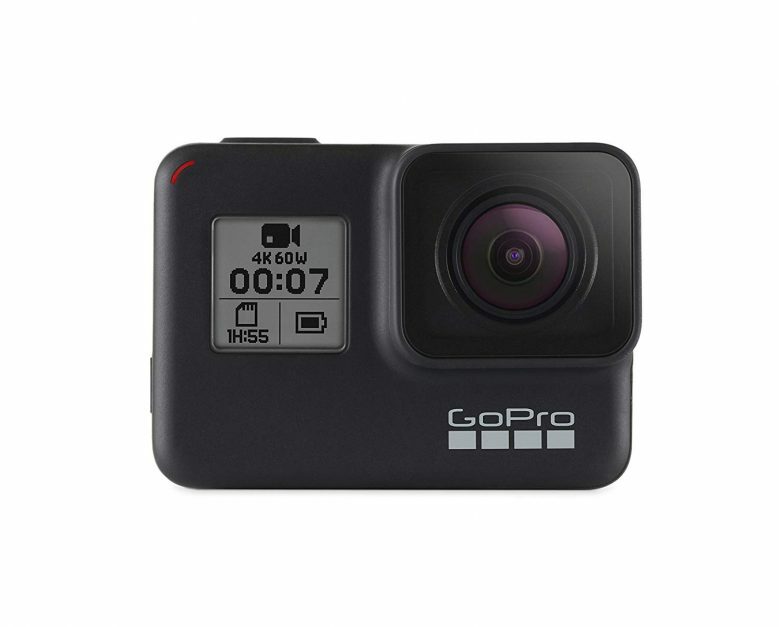 While we still use the GoPro Hero 6, the new 7 has come out. So go for it. Stay up to date with the latest. Dave loves the Sony RX100 VI as a final addition to his two DSLR Sony bodies. I use it for video and vlogging all the time! It fits great on my gimbal too keeping things lightweight but looking like a million bucks. With a Carl Zeiss lens and 20.1 megapixels, you’ll have professional-quality photos for a fraction of the price of other professional cameras. We love it. It’s small, lightweight and easy to use and we often leave the bulky DSLRs behind for the day and use this as our camera to capture amazing travel photos. Want to turn your travel videos and photographs into something epic? 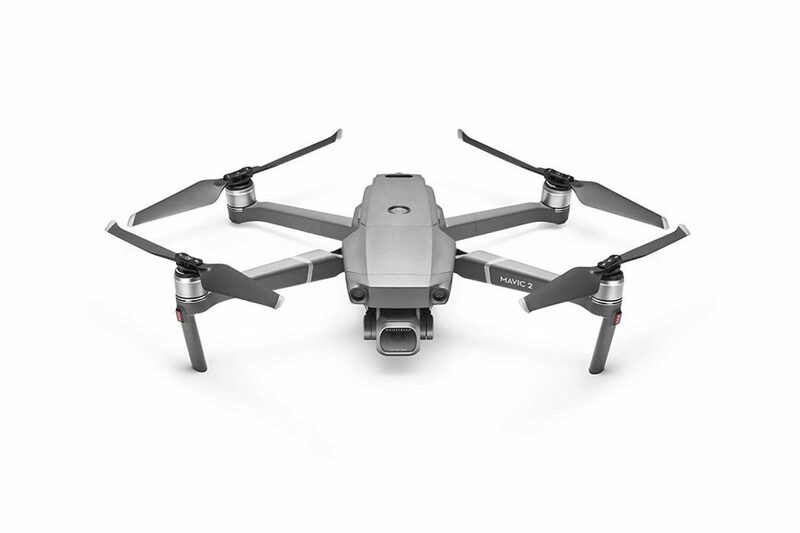 Pick up the DJI Mavic Pro 2 or Mavic 2 Zoom drone for your next trip abroad. It's compact and fits right in Deb's over the shoulder camera bag. The DJI Phantom series drones are amazing too but are pretty big for travel. They are huge. Once we downsized to the Mavic Pro 2, our camera gear was a lot less cumbersome. 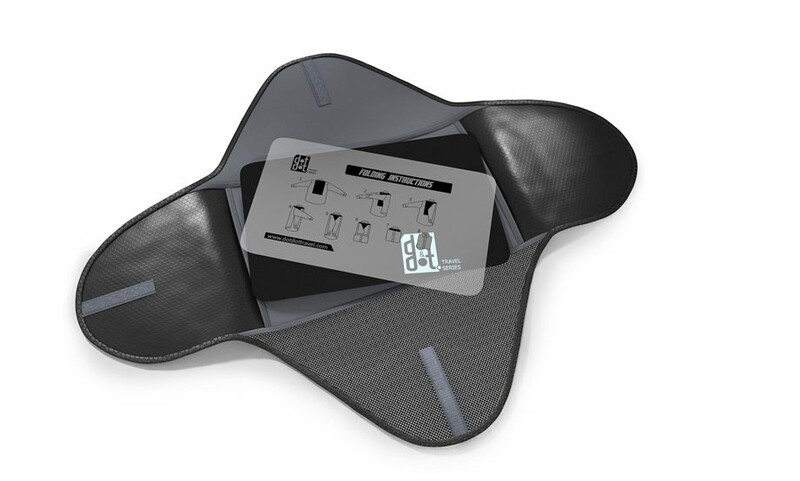 It folds up to the size of a water bottle, taking up little space in your carry-on luggage. Plus, we don't get a lot of hassles at the border either because it's so small, nobody knows what it is. Take of the propellers and it can easily just look like a gimbal camera. For the person that already has a GoPro, they can always use a travel accessory to go with it! The number of add-ons for a GoPro are endless and to have a good accessory kit can take years to build. Give them our favorite to take with us to tropical destinations the GoPro dome. This is the gadget that lets you get those fantastic half under the water shots while keeping the surface in complete focus. See our tips on how to use the GoPro Dome coming straight from the Cayman Islands. For the adventure traveler, solar chargers are a must. We've used our Poweradd solar chargers on multiday treks and camping trips. When you don't have power to plug in to, these are excellent. Hang them on your backpack all day and let the sun charge them and then plug your electronics into the USB outlets. We use all Sony products for camera gear which charge via USB. Good for phones, tablets, and cameras. Buy this portable power bank as a gift for the traveler in your life. I just got this adapter at a conference and love it more than any other. 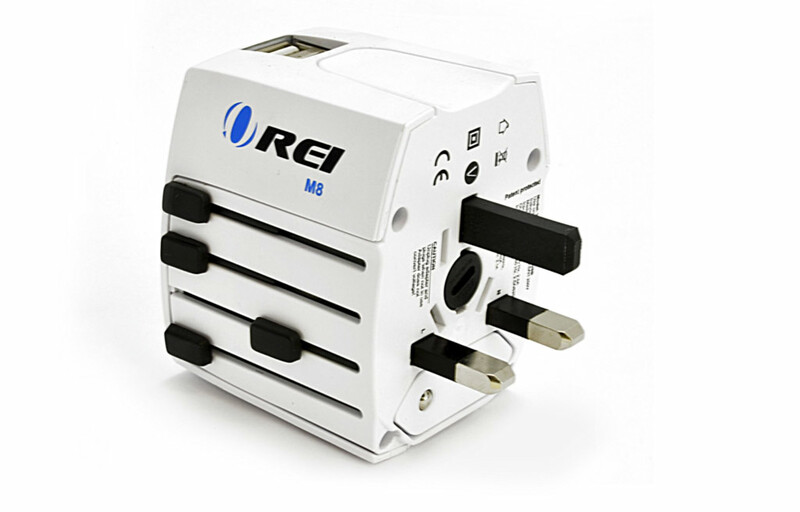 It's compact and converts plugs for any country in the world at the slide of a switch. Don't carry a ton of separate adapters, one is all you need. If you read our blog often, you'll know that I recommend the Belkin as one of the best gifts for travelers every year. I can't help it, I love it! The Belkin surge protector not only protects your electronics from power surges, it charges several things at once with 3 outlets and 2 USB ports. I don't know about you, but phones and cameras never seem to hold a charge all day long. Instead of stressing about running out of battery power, bring a portable charger with you. 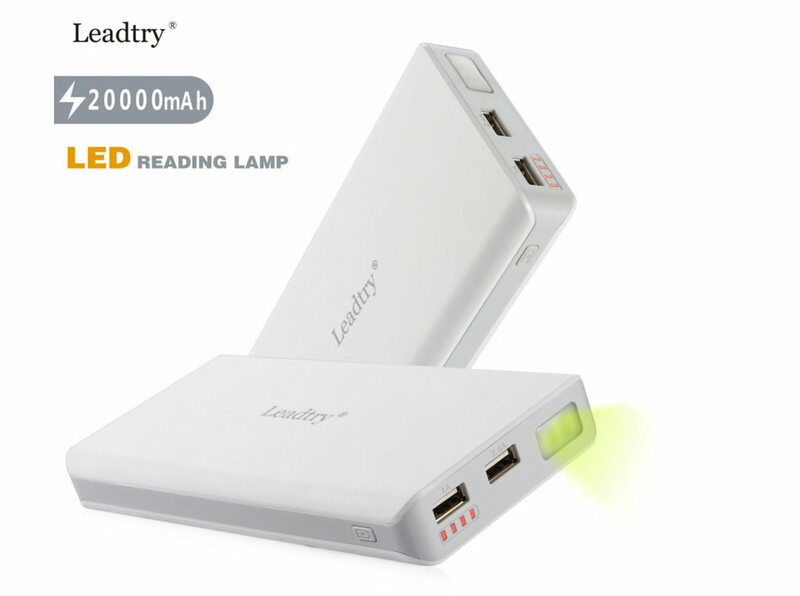 We love this one because it has four charges in it and can charge two devices at a time. That built-in flashlight has come in handy many times too. 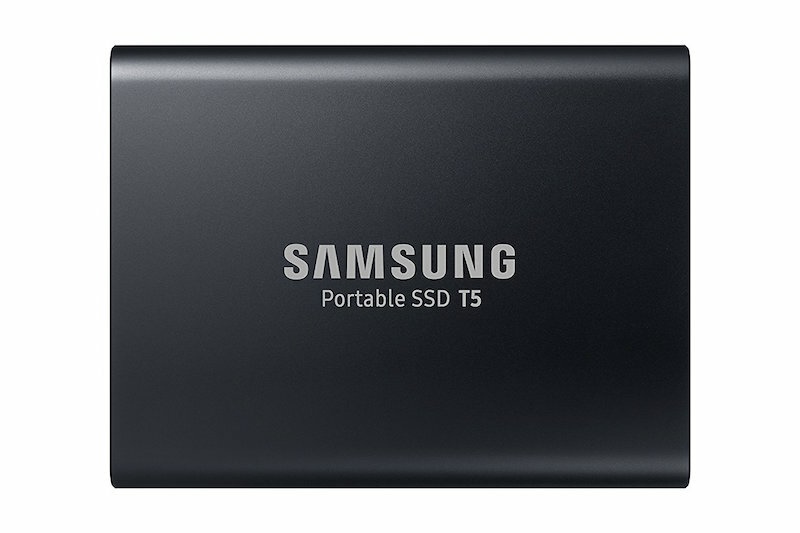 This mini portable hard drive is a game changer for us. Lightening fast for editing photos and videos on the road, but so tiny it can slip into my pocket. It has really lightened the weight of our computers. I had been looking for a good carryon that wasn't too large, but could fit all my electronics. However, I also wanted a carryon that could roll when I was in the airport but easily convert to a backpack should I need to go hands free. I finally found what I was looking for with the High Sierra wheeled backpack with a removable daypack. It's three bags in one and fits easily in the overhead compartment. It's actually smaller than any carryon I've used yet! 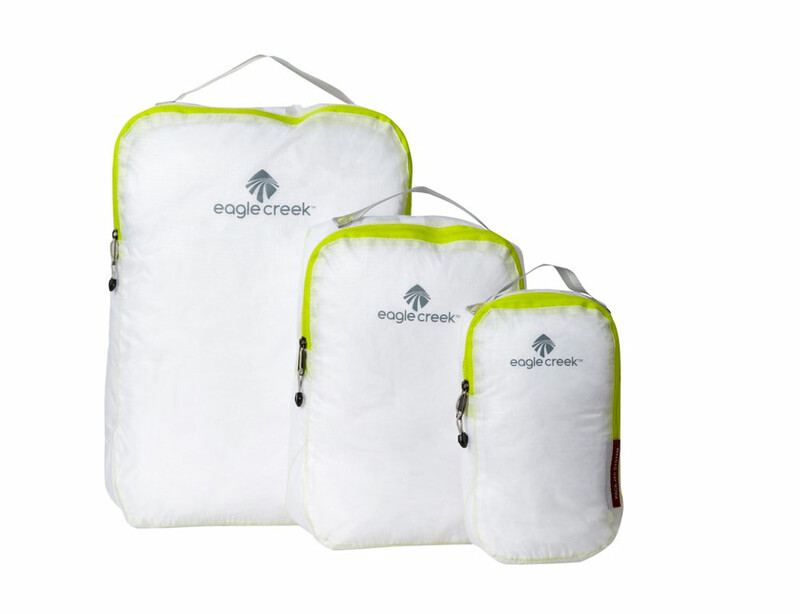 Packing cubes are great stocking stuffers and an affordable option for organizing your luggage contents. I stuff clothes, electronics and medication in my cubes. Nothing roams free in my bag. Everything is packed away in color-coded cubes. I even zip my dirty laundry inside a packing cube to keep it from smelling up the rest of my clothes. We now like to put our carryon bags on our backs (since they are the heaviest as they have all our cameras and electronics in them) and we pull our clothes behind us. 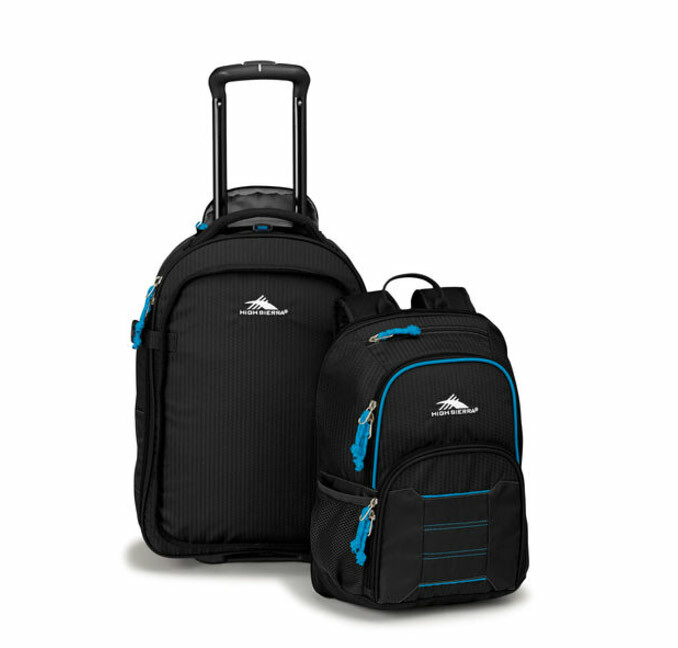 We recently switched the TravelPro Line and love it. Not only are they easy to organize but they roll like a charm. By using packing cubes, toiletry bags and the shirt folding envelopes, they all fit into our TravelPro Luggage perfectly just like pieces to a puzzle. If you are anything like us, you have a lot of different memory cards. We don’t like to erase anything until our photos and videos are backed up. Having loose memory cards in our luggage isn’t an option. 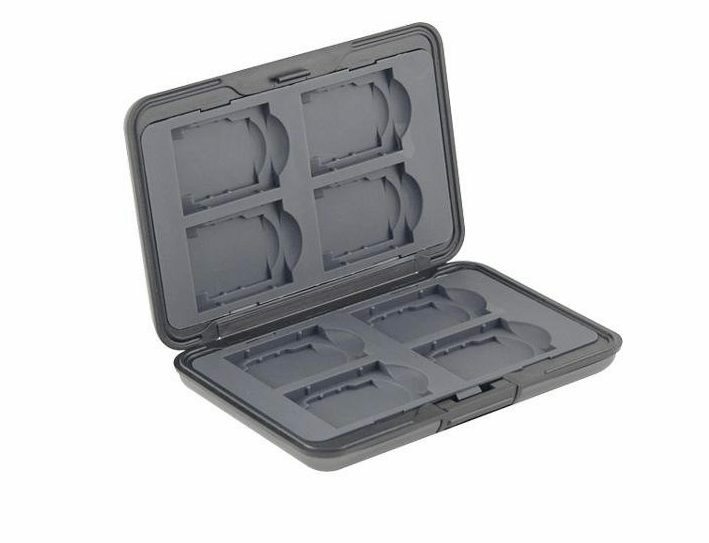 They get lost easily, so instead, we keep them organized with a memory card holder. 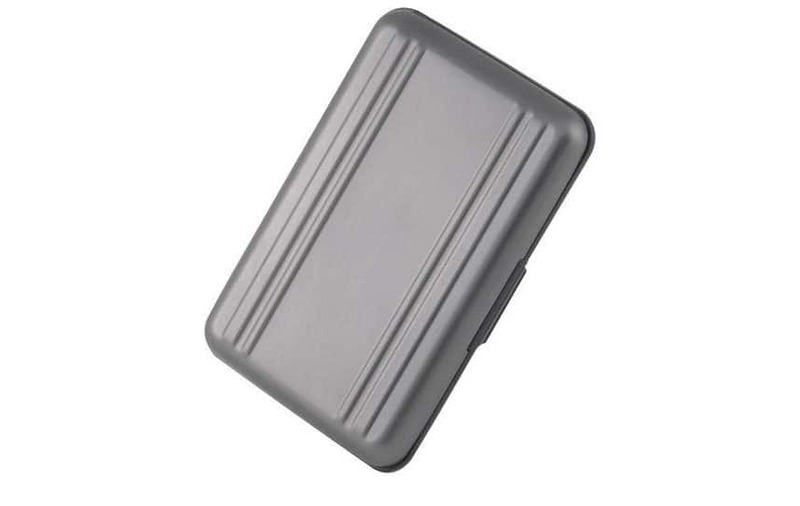 This Power 2000 Aluminum Memory Card holder goes well with our Apple products and holds SD and MMC Memory cards snug as a bug. The other day someone told me I have the most organized wallet they've ever seen. That's because I use the Pacsafe travel folder. It holds all my credit cards, rewards cards, both our passports and money - including change! 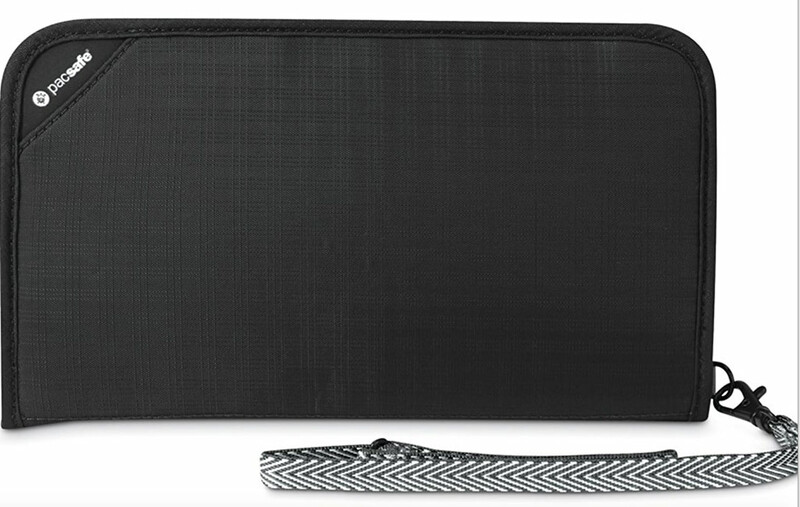 This organizer transforms into a clutch for a night out on the town too. I don’t want to always carry my large travel tote, so this gives me a bit of class when going out for dinner or drinks. As we mature, our wardrobe has matured with us. 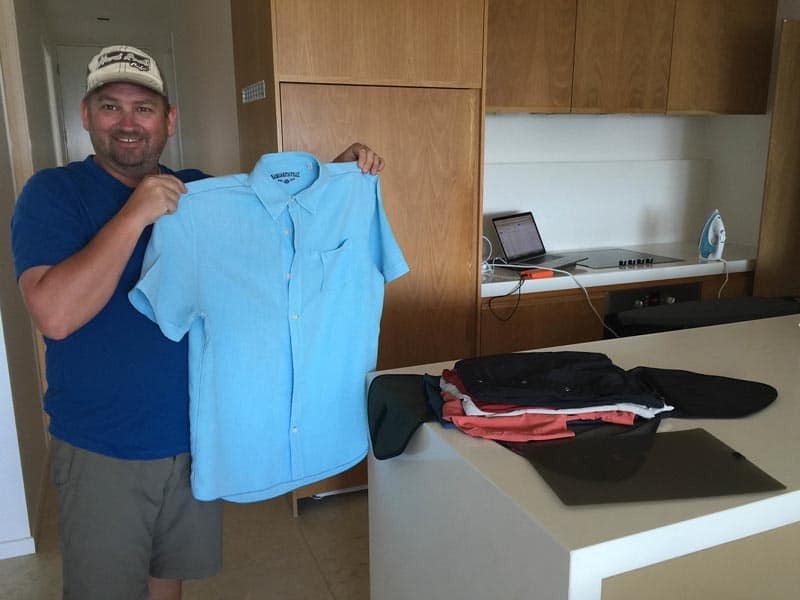 Dave has never packed so well since he got his smart envelope. His shirts come out almost perfectly pressed instead of a crumpled mess when flying. After we unpack, we just give them a spritz with wrinkle wiz garment spray and he’s good to go with a pressed and ironed shirt that's great for a night out, conference or keynote speaking engagement. Thanks to Laurel Robbins of Monkeys and Mountains, I was introduced to Gaia.com. It's online yoga. For 9.99 a month you have access to all kinds of different yoga classes and instructions. I can't travel without a silk scarf. It keeps me warm on the plane when the air conditioning is cranked too high, it dresses up my evening outfit, and it keeps me modest when walking into a temple overseas. 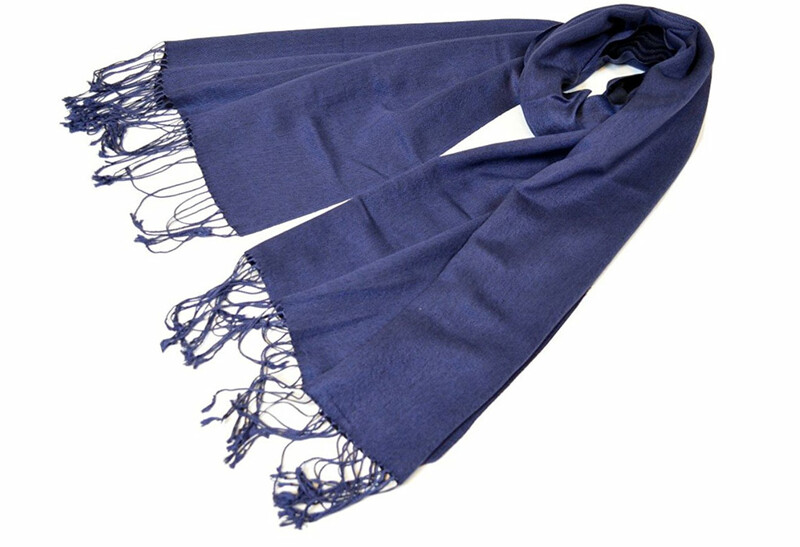 A silk pashmina wrap is a perfect gift to give to the lady in your life. She'll love you for it, trust me. These fold up easily to pack away in your luggage. They're stylish for both men and women, they keep the sun off your head and keep your head cool. It's a good thing to have in a hot climate. A sarong is the most versatile piece of travel clothing any woman can have. It can be used as a cover at the pool, a towel, a beach blanket, and even a skirt. I've used it to cover up when going into temples and I've even used a muted colored sarong as a headscarf in Muslim countries. Check out this assortment of Sarongs. What woman doesn't love jewelry? 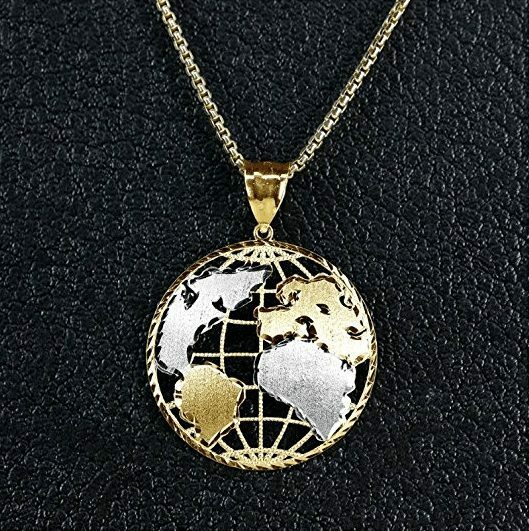 Show the one you love how much you appreciate her love for travel with a world globe necklace. I have a similar one to this in the shape of Africa that is close to my heart since we cycled the continent of Africa and it is what started our blog! This scarf is perfect for anyone who wants to look fashionable, be comfortable and carry travel items that no-one will even know you are carrying. 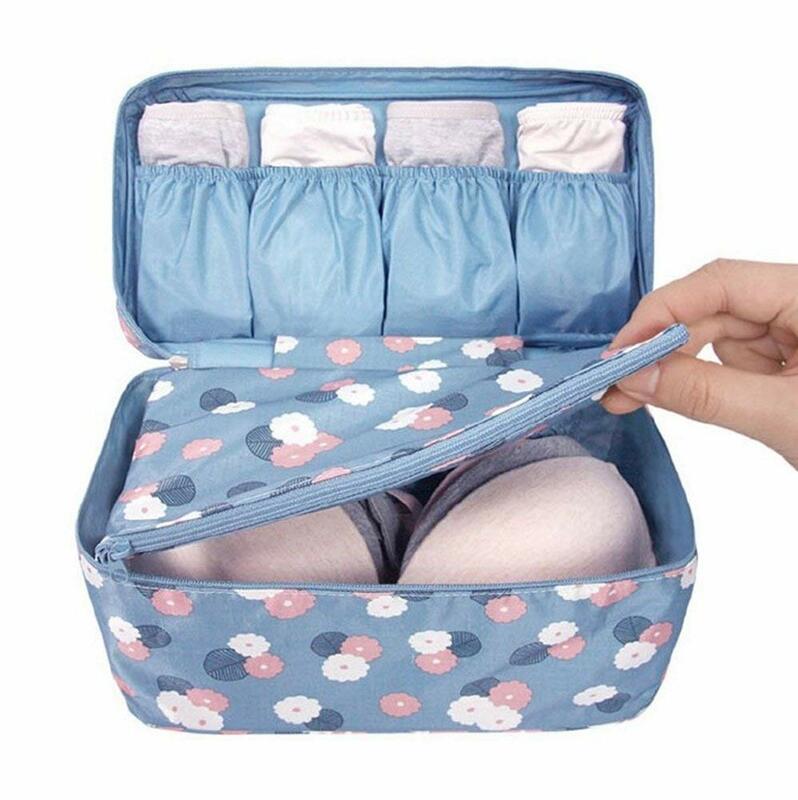 It has a special hidden pocket that can be used for your passport, phone, small guidebook, glasses, lip balm or any other item you want to secretly stash! No one will ever know you have a secret pocket hidden in your scarf, making it the perfect place to keep your items safe! 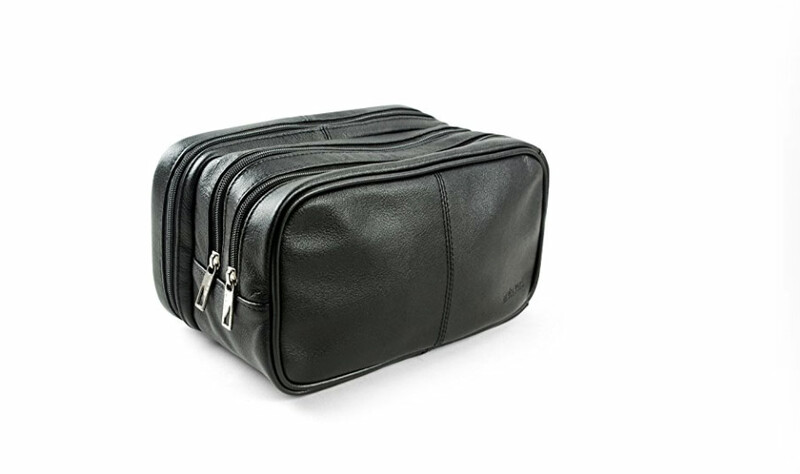 A man needs to be organized and this Dopp kit is a classy way to store all his toiletries in one place. Its leather base keeps things dry and easy to clean. If your guy has a beard or mustache this is the perfect gift for him. 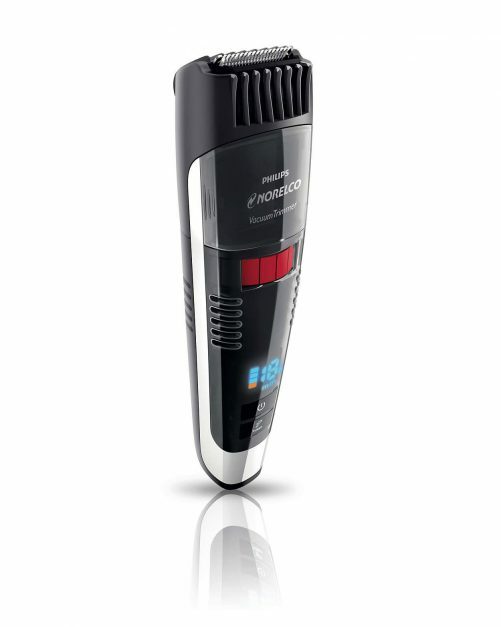 It is designed for both corded and cordless use and has a vacuum so that you don't get all that unwanted hair all over the place. The blades never need sharpening and it looks pretty cool too. For the outdoor lover who likes a bit of style, show him that he doesn't have to completely rough it in Mother Nature. 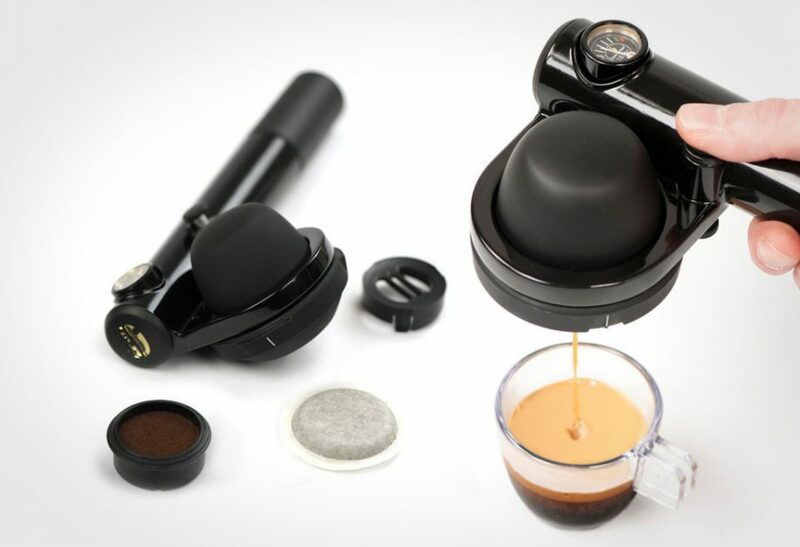 The Handspresso makes a perfect cup of Joe, just like the coffee shop. Surprise him with a foamy frothy cup on your next family camping trip. Got a man that is always up at the crack of dawn and out the door for a run. Dave loves his Arcteryx jacket. 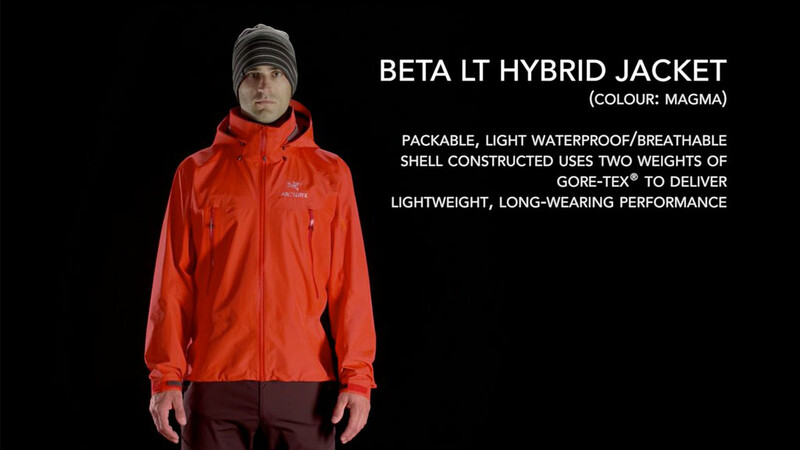 It's breathable, lightweight and waterproof. It's the perfect outer layer jacket for the travel lover. Dave has had this jacket for 4 years now and wouldn't trade it for the world. And hey, I love mine too! The world is become a noisier pace by the minute and airplanes can be the worst. From screaming babies to loud talkers, long flights can be frustrating. 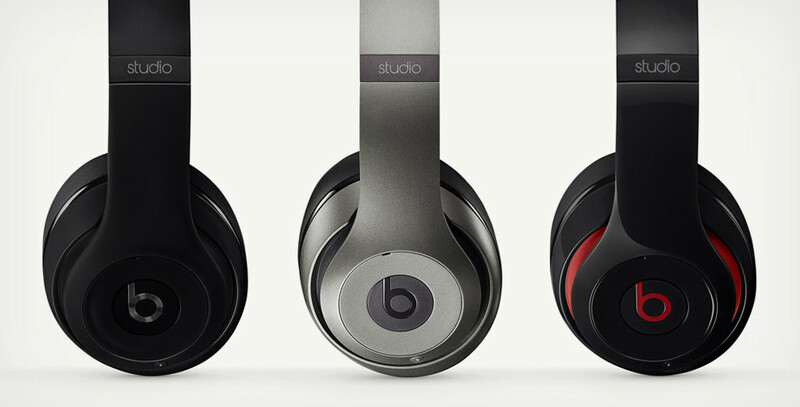 Put on these Beats Studio 3 Wireless headphones and they drown out all the sound. With padded earphones that cancel noise, the traveling man in your life can watch his favorite flick in peace and quiet and if he decides to nap, the headphones will keep him from being disturbed. We always have this in our luggage. It has come in handy so many times. 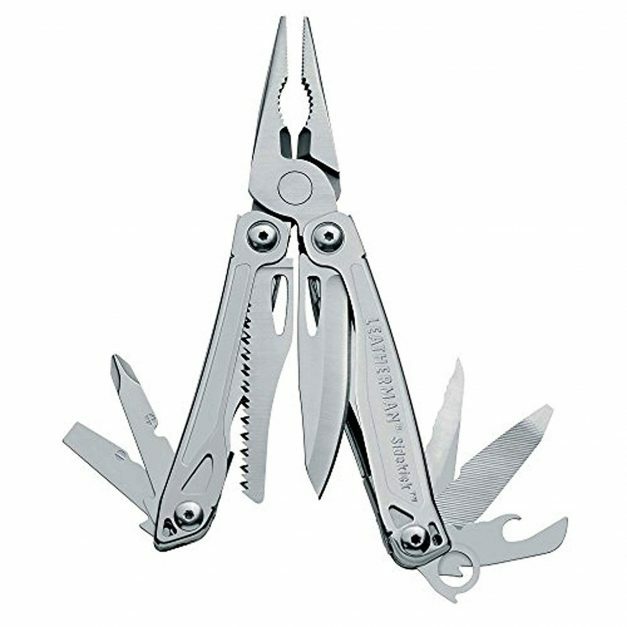 When you need a bottle opener, when you need a screwdriver, nail file etc. It uses are endless and must have in your travel kit. This is the first eye mask that even my husband Dave loves. It’s padded and comfortable and it blocks out the light. 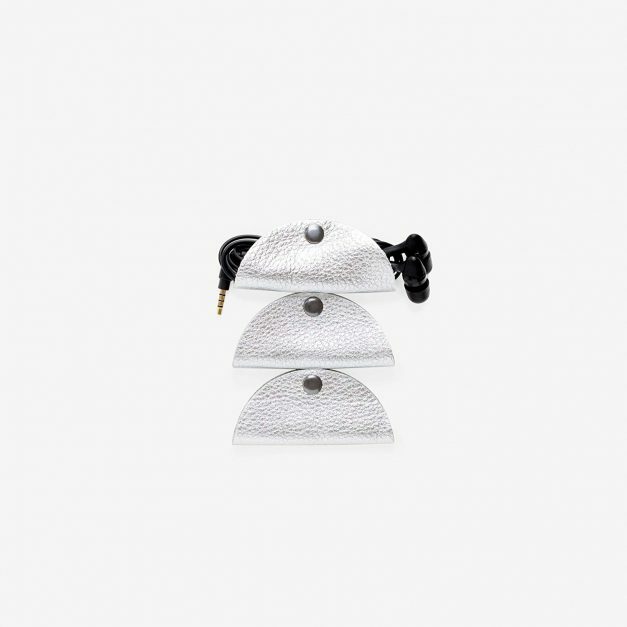 The wide strap doesn’t tangle in your hair and it looks great so you feel stylish as you sleep. Airplanes make your skin dry. They are not the best environment for health, that's for sure. 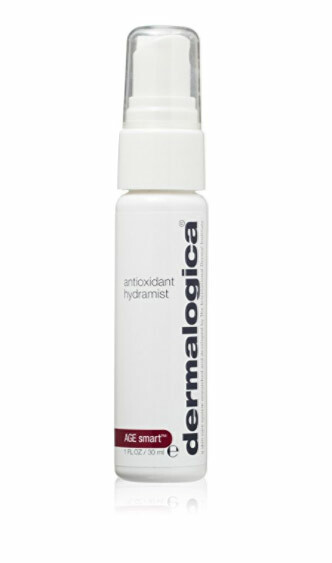 So drink plenty of water, use your eye mask to sleep and then spritz with Dermalogica's Hydramist. As a former makeup artist for TV, this product was my go-to favorite. It is perfect for sensitive skin with pure ingredients. You can get this Facial mist here. I don't always need to have a water bottle handy, but I do like having one in my luggage should I go out on a hike or have a long day of sightseeing. This water bottle collapses down to the size of a pancake, taking up less space in my luggage. I know that nobody likes to look at people’s bare feet when traveling. I was guilty of this in my backpacking days. I used to always travel in flipflops. Now, I care about the people around me and slip into my ballet flats on the flight. 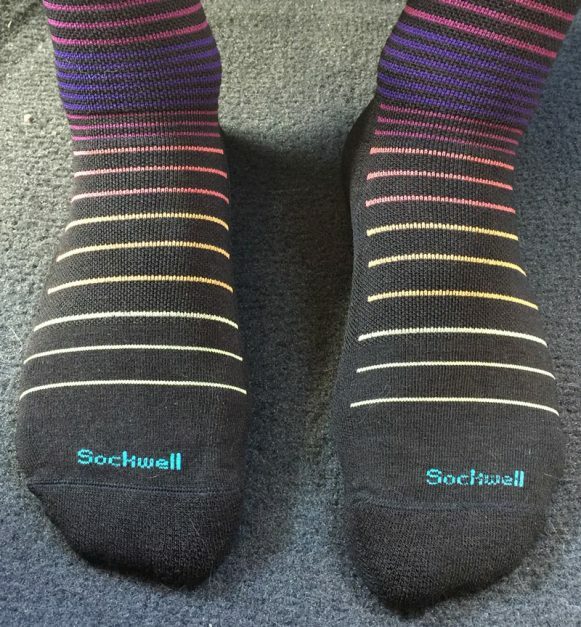 They are comfortable and stylish and I’ve even worn them out of the airport too. These babies have very good grip and I wore them once walking around Peggy's Cove in Nova Scotia and they held their grip nicely on the rocks. Compression socks help with circulation and leg exhaustion. Compression socks have come a long way. I tried them once a few years ago and they felt like they were squeezing my legs, my latest pair are so cushiony and cozy. The merino wool keeps odors away and they feel comfortable on a flight. If you are traveling in the backcountry, hostels or anywhere where you use a shared bathroom then this will give you some piece of mind. It will keep your toothbrush nice and sanitary. It kills 99.9% of bacteria and viruses, which sure sounds good when camping. 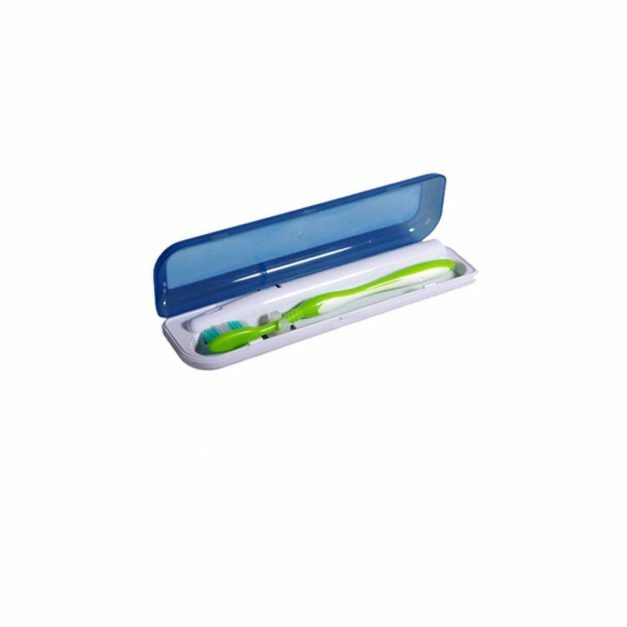 Get your UV Toothbrush Sanitizer here! Sleeping on planes can be a pain in the neck (See what I did there?). 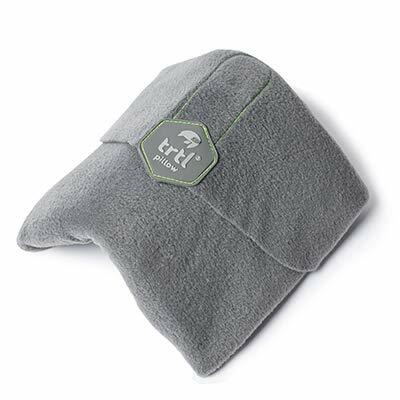 But with the Trtl Neck pillow, those days are gone. This is the Cadillac of all neck pillows. It is scientifically proven to support your neck and aid sleep. Trust me, it works! Get your Leather Cord Organizers here! 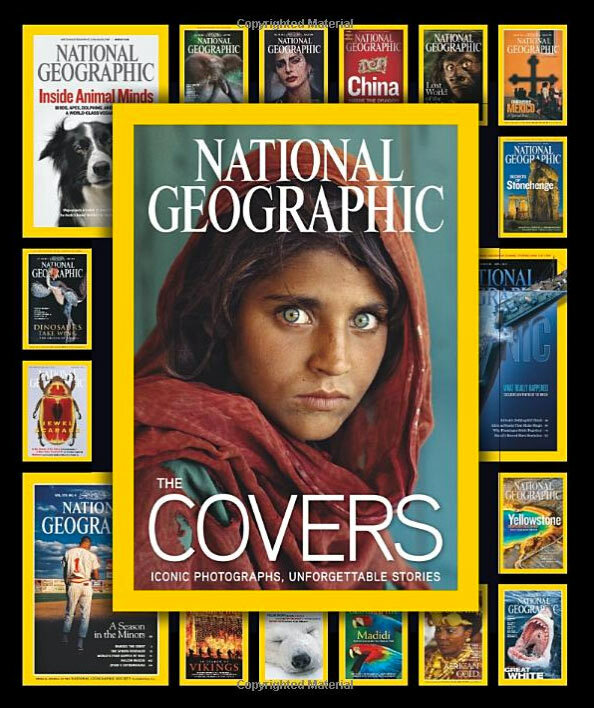 Nothing sparks wanderlust more than looking through National Geographic. It's the covers that always captured my attention and this book rounds up the most iconic photographs from the magazine's history. 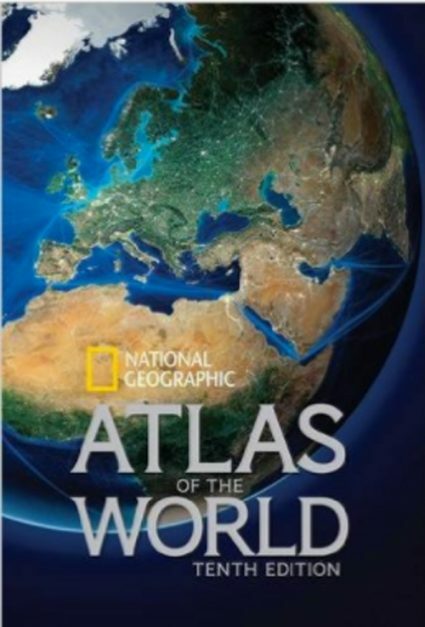 Sure you could just Google it, but isn't having a book filled with maps and information sitting on your coffee table more exciting than opening up your laptop. 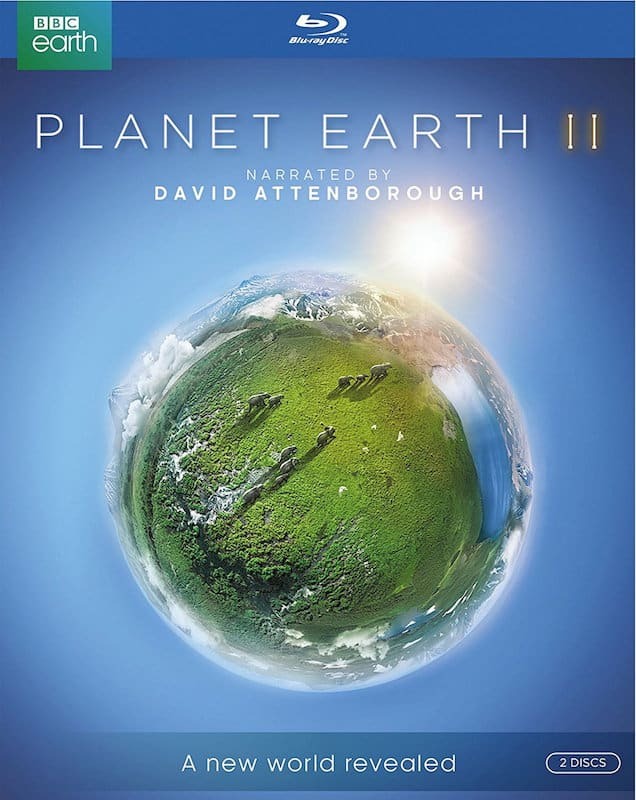 Who better to show you the world than National Geographic? What's hot for 2018? 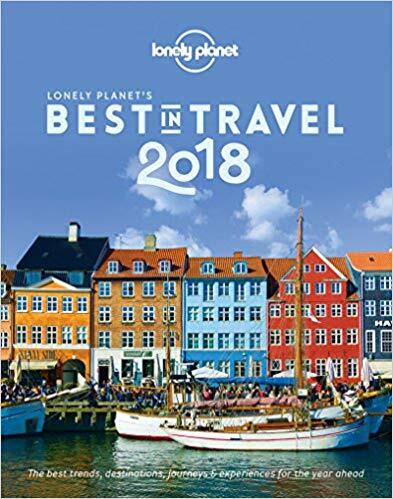 Lonely Planet puts out their best picks for travel each year. I'll give you a hint what's number 1, It has deserts and mountains and in South America. People may have their noses in their smartphones, but nothing connects you more to the moment than taking out a pen and paper and writing about your experience. I love a flexible elegant journal and this one caught my eye. 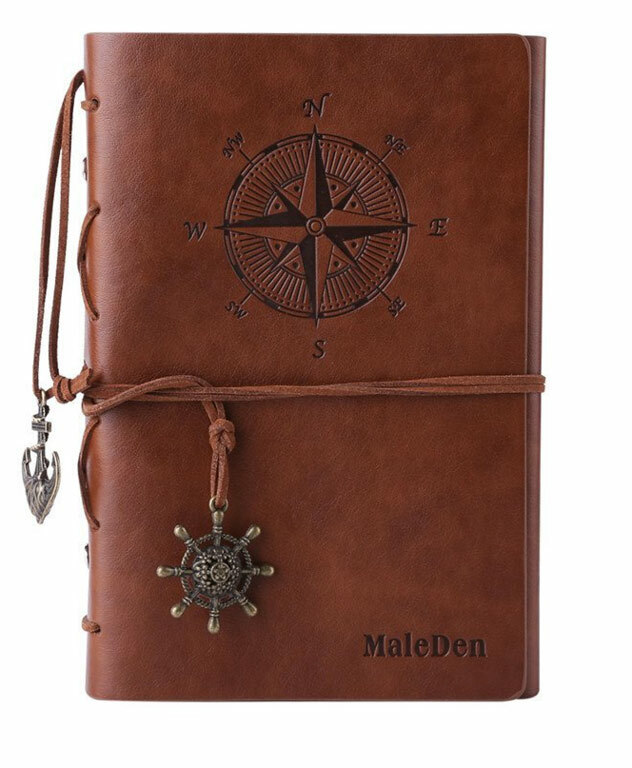 I'm not a fan of the stiff moleskin journals, give me a fancy journal any day like this MaleDen journal on Amazon. 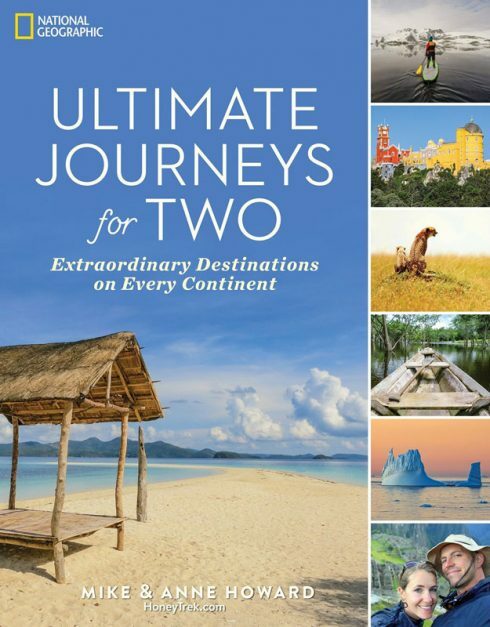 Our friends Mike and Anne partnered with National Geographic to pen this great book about adventures for two. It is a bonus that we wrote one chapter too 🙂 Make sure you get your copy. It makes a great conversation starter or coffee table book! Buy it today on Amazon for less than $16. Do you have suggestions some great gifts for travelers? We'd love to hear, leave them in the comments below. When traveling abroad everyone wants to stay connected. If you have a loved one going on vacation, give them a SIM Sticker that they can attach to their existing phone's SIM card. They never have to change SIM cards and can simply and easily activate data once they reach their destination. Or, now new customers can buy the Global SIM Sticker or SIM Card along with your choice of data packages all at once! KnowRoaming is now an ideal gift for travelers because you can give the SIM bundled with credit. 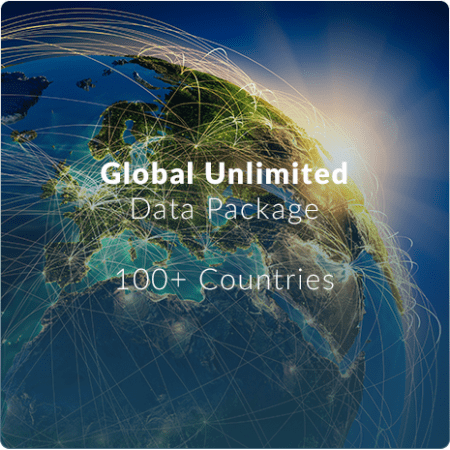 Choose the data package that suits them best like a 14 day European unlimited European Data package. Knowroaming prices are competitive and cheaper than most international roaming packages. Disclosure: The links above are affiliate links that we have used personally or that you will find additional value for your travels. We receive affiliate commissions, but it's no extra cost to you! 66 Responses to "Gifts for Travelers – 55 Unique Ideas for 2019"
A waterproof iPhone case is a must. Nice list! I love the world map pendant. its a unique item to have. Even though you cannot travel around the world still having a pendant is good to have. 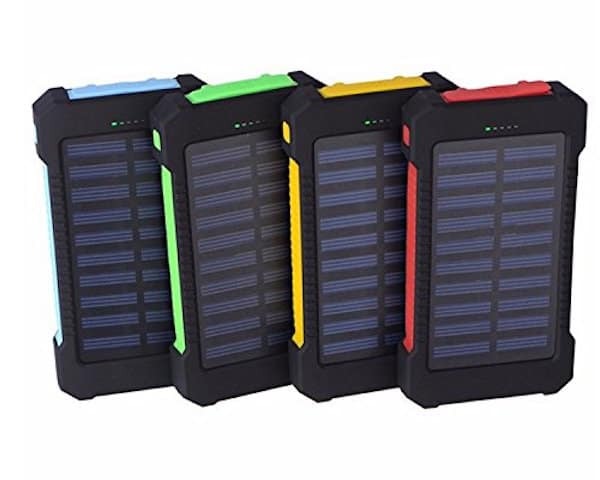 My favorite gadget that was bought for me was a foldable solar panel the you can clip to the back of your pack to charge stuff while on the move. The solar panel charged an integrated battery which in turn charged things like my phone and tablet. I take that thing everywhere. very good and authentic things are describe in this blog it is very useful idea for me thanks for sharing. 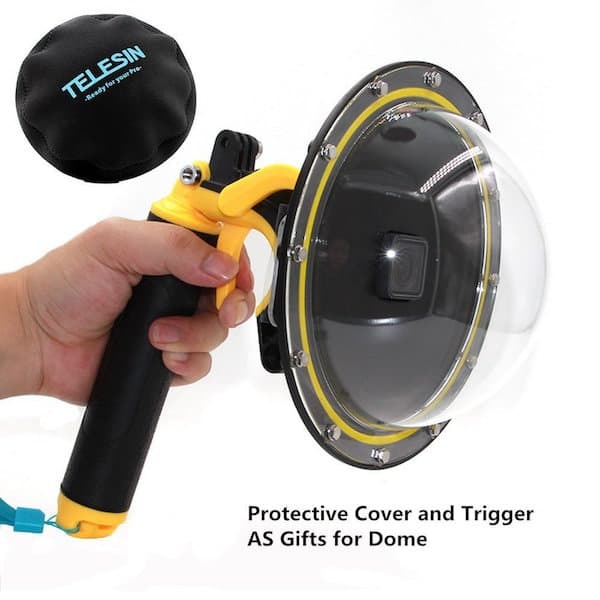 The list is good, everyone will find the appropriate gift for an outdoorlover. The handspresso is a nice gift idea, thank you for sharing. Great ideas thank you so much for sharing with us. Travel map is so underrated…always so cool to see everywhere you have been out on a map! Wow and double wow. Spent a while perusing the list. Ended up ordering the World Map coasters. Astounding Post! Every gifts are fascinating. Your endeavors are truly calculable. A debt of gratitude is in order for sharing this post. Incredible blessing guide for all sort of explorers. Particularly for him and her. Amazing Post….!!! Each and Every gift is interesting. Your efforts are seriously appreciable. Thanks for sharing this post. Excellent article just in time for Christmas shopping! Great list, You mentioned all the things that a traveler need. I have a 30,000 mAh power bank which helps me lot to be in the cellular network. I must admit you have some excellent gift ideas here. I have long been searching gift ideas and I finally found all the information i needed. Thanks for sharing. 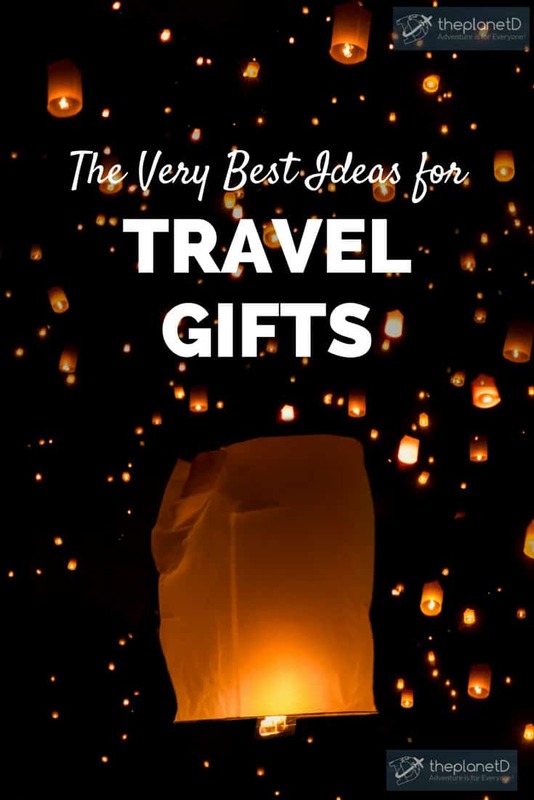 Finally a blog that has so many wonderful and out of the box ideas for gifts for travellers. One of my best buddies is always on the move and I have been wondering what to give him for his birthday. I guess my search ends here! The global SIM card is indeed a very useful gift that I am going to go for. Great gift guide for travelers all kinds. Global sim card should be 1, 2, 3 in terms of importance for me 🙂 Def a must have. The solar power bank is also crucial. 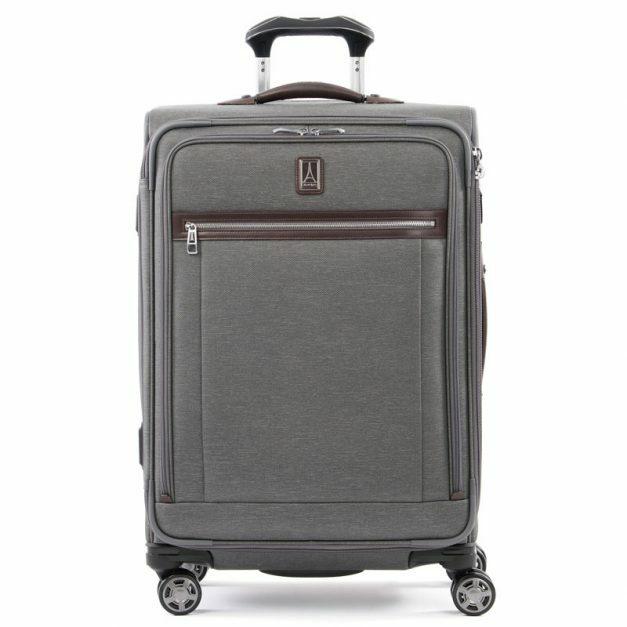 Great curated holiday gift list for the traveler. Hey, great article! Found it very useful. I just want to add Rowkin earbuds to this list. Got one from my brother a few months ago and just loving it. Will look forward for next articles. Thanks. Awesome list for travelers. Thank you so much for sharing it. This list of accessories is very awesome and great for a traveler who has a true travel passion, thanks for sharing this detailed post. 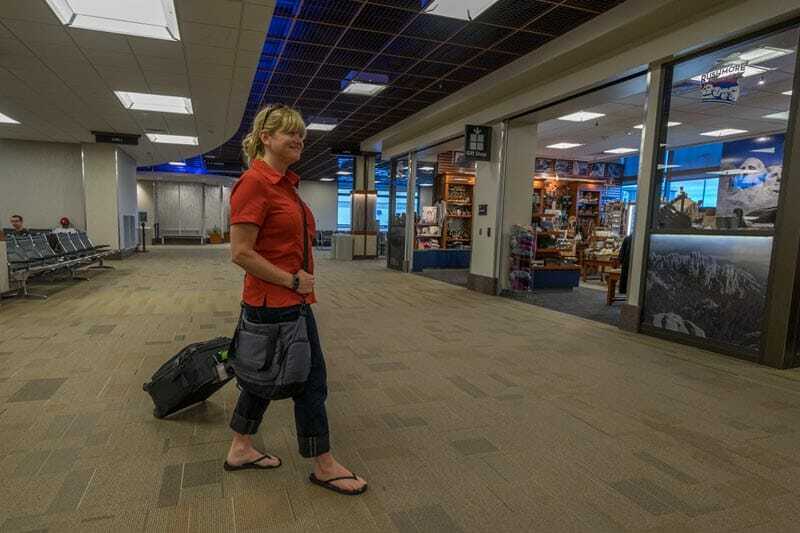 Thanks for sharing a great list and ideas for best gifts for travelers. Happy holidays! Awesome list of gifts for travelers! This is really amazing idea and inspiration. Thanks for sharing it. Scratch Map Deluxe and Collapsable Water Bottle are great gifts for travellers. 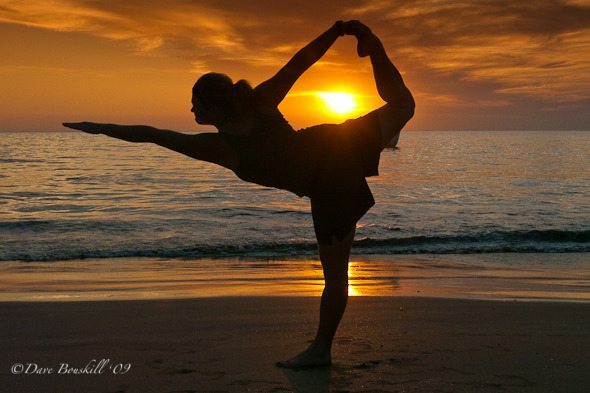 I joined Gaia Yoga as soon as I saw it on your list. I have a few of their DVD’s and now can have it with me anywhere. Wicked. Glad we could give you the idea to join! Great list! This is very useful for us. Thank you for sharing these great ideas. Great job. Awesome list of gifts for travelers and very good idea to share this list with your readers. The most I loved was the drone, hopefully this year ganhr a srsrsr gift! Great list, I have the Portable Power Bank and its saved me many times! Thank you for sharing . Wishing you Merry Christmas and Happy holidays!! Thanks! Have a happy holidays! Decent list of goodies! Hard to choose unless you drive a campervan so you can take em all… Still waiting for my Mavic Pro to take on travels numbero one on the list! Thanks for sharing such a good information. It is very much helpful for all travelers. 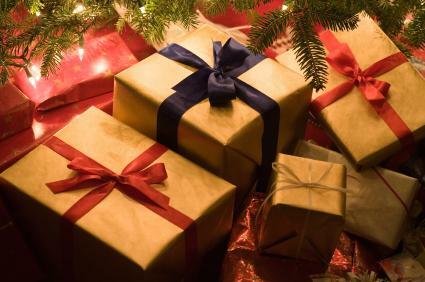 All the gift idea for travellers are really good and all are very very useful for them. I had gifted that DJI Mavic Pro to one of my friend long back. He really liked it too much and after 2 years also if we meet then again and again he says thanks for that amazing moving camera. It was costly for me (at $1250 i got that time) but i am very happy that my best friend is happy to use it. Great posts! How do you always come up with such unique ideas? Great post! I’ll be forward this to my family for some holiday shopping ideas. 🙂 I’m also really looking forward to the Pilot from Waverly Labs, which is an earpiece that translates foreign languages in real time. It sounds too-good-to-be-true, but the tech seems legit. While it might take away a bit of the fun from learning new languages, can you imagine the kind of interactions you’d be able to have with non-English speaking locals? What time to be alive! I would love about…oh, 90% of the stuff on this list, even though in a few cases I already have something very similar to it already. Some would actually be great for the occasional travelers on this list or the many campers we have in my husband’s family. Thanks for providing some inspiration for my upcoming Christmas shopping! These gadgets are useless, though. Fun to own but no real value. Dumb. Awesome list guys. We would love a lot of them in our stocking. 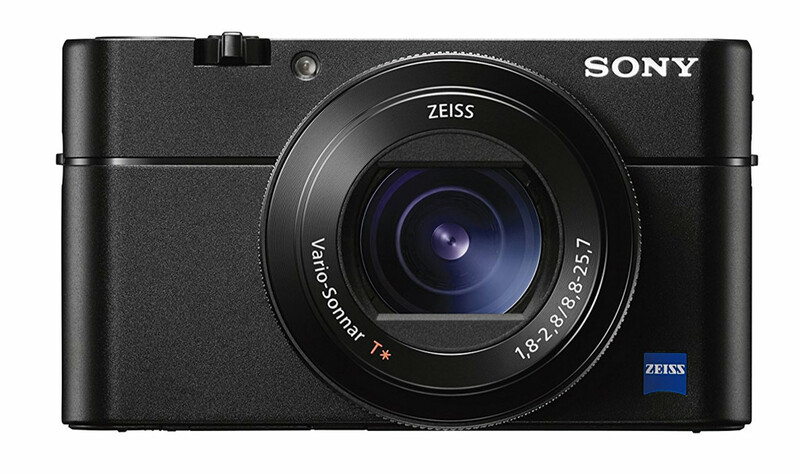 We are massive fans of the Sony RX100 series. We had the mark 2 and that was amazing, I can’t imagine what the mark 5 is like. Definitely would love the Mavic. Cheers for the great post.